Since the majority of women use some form of hormonal birth control before they decide to try for a baby, the question of how to get pregnant fast after quitting such contraceptives comes up rather frequently. Many of the women who have just come off the pill, stopped using depo Provera, or had their Mirena coil removed were "customers" of their chosen birth control methods for many years. How does that affect your chances of getting pregnant? Have you heard about "depilling" before trying to get pregnant? Many women choose to have a period of using condoms before they start trying to conceive after they come off the birth control pill. This is not, actually, medically necessary your fertility should come back very soon after you quit the pill, but your periods may be irregular for a while as you return to your natural cycles. You can choose to have a depilling period, but the only real advantage is more clarity as to what your due date would be if you did get pregnant immediately after trying. Women who had the Mirena intrauterine system (IUS) removed are likewise generally able to get pregnant right away. 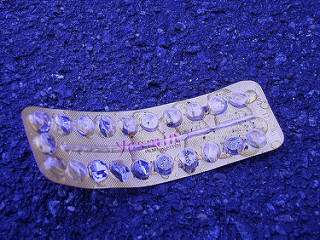 Some women choose to wait for a while for the same reason as former pill reasons. But pregnancy should be possible very soon, and the Mirena emits even lower doses of hormones that the pill. Unfortunately, depo Provera is a special case. Unlike their "sisters" who just stopped using the birth control pill and the Mirena coil, women who stopped receiving depo Provera injections may take a long while to get pregnant. The injection is supposed to last for "a minimum of three months". Some women have reported that regaining their fertility takes as long as two years! Condom slips inside, Missed one pill, on antibiotics, could i get pregnant?? ?